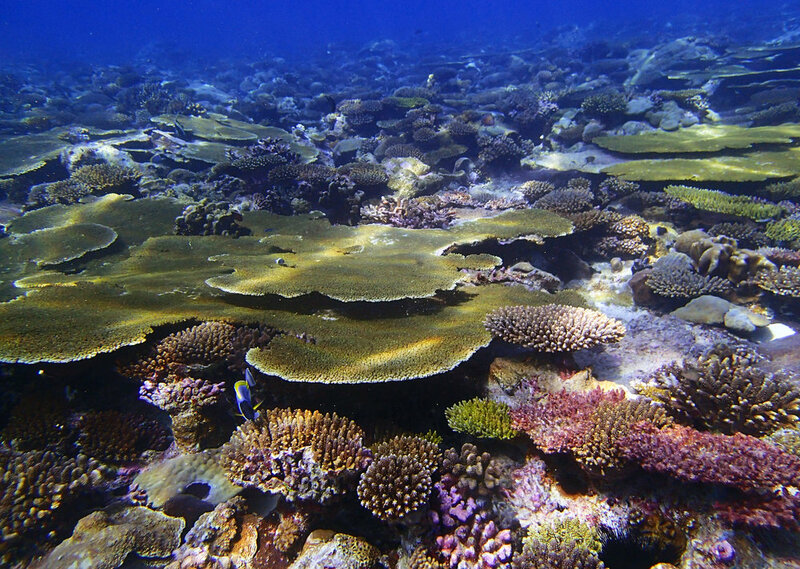 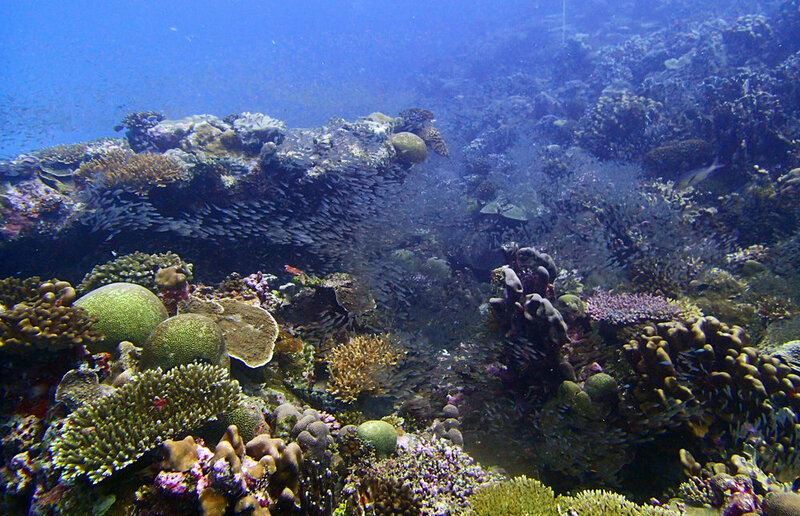 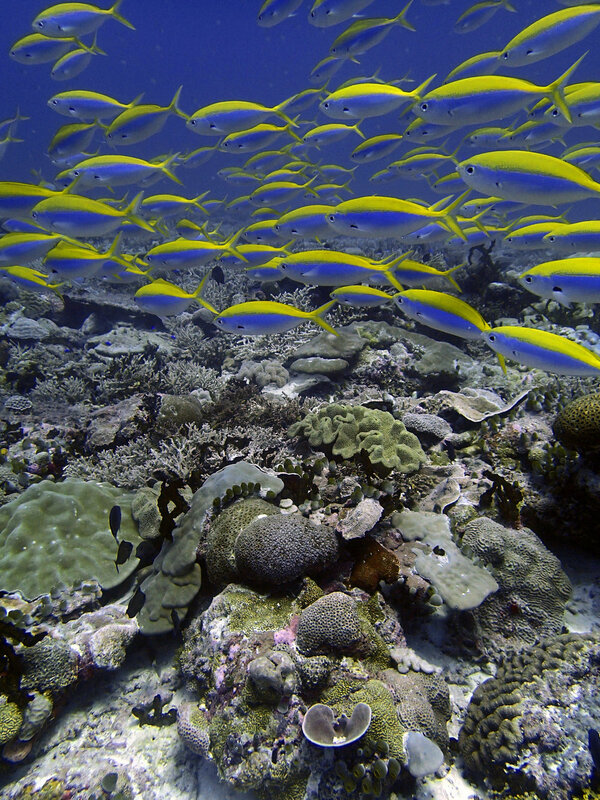 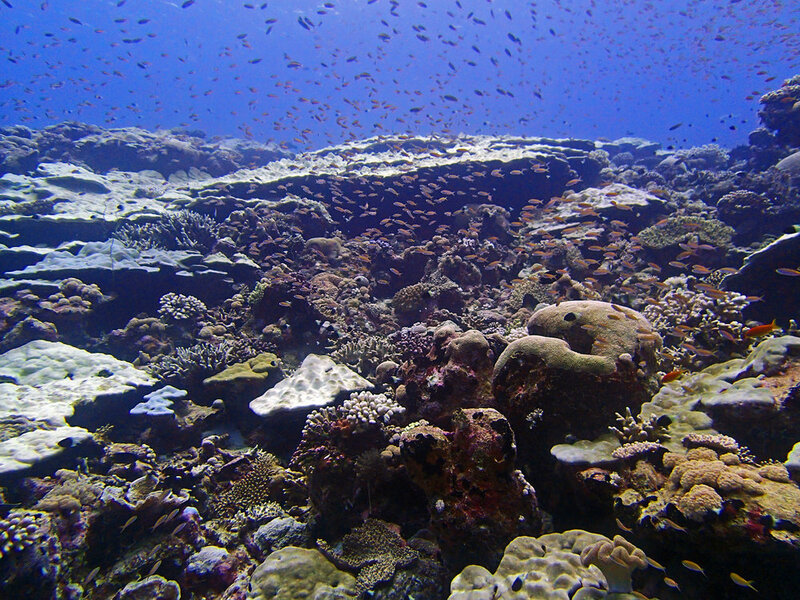 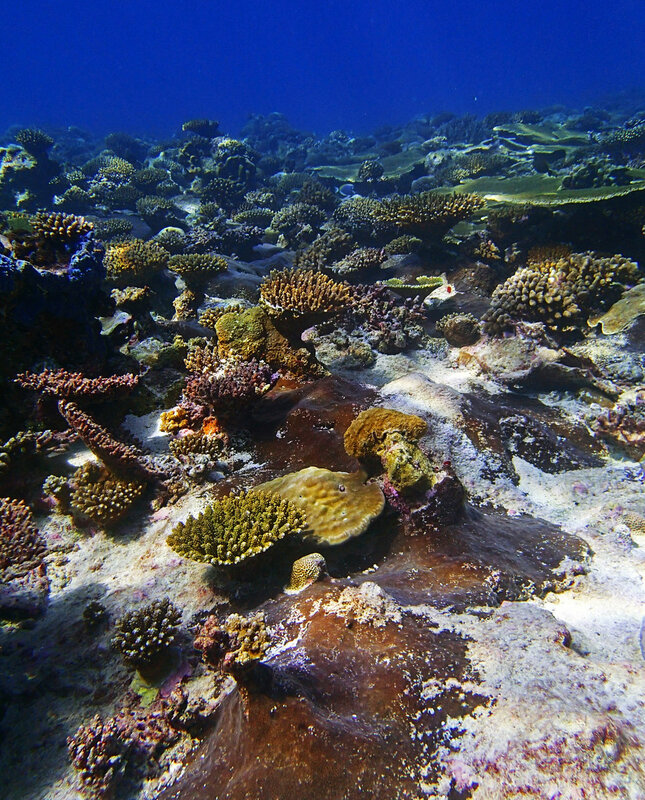 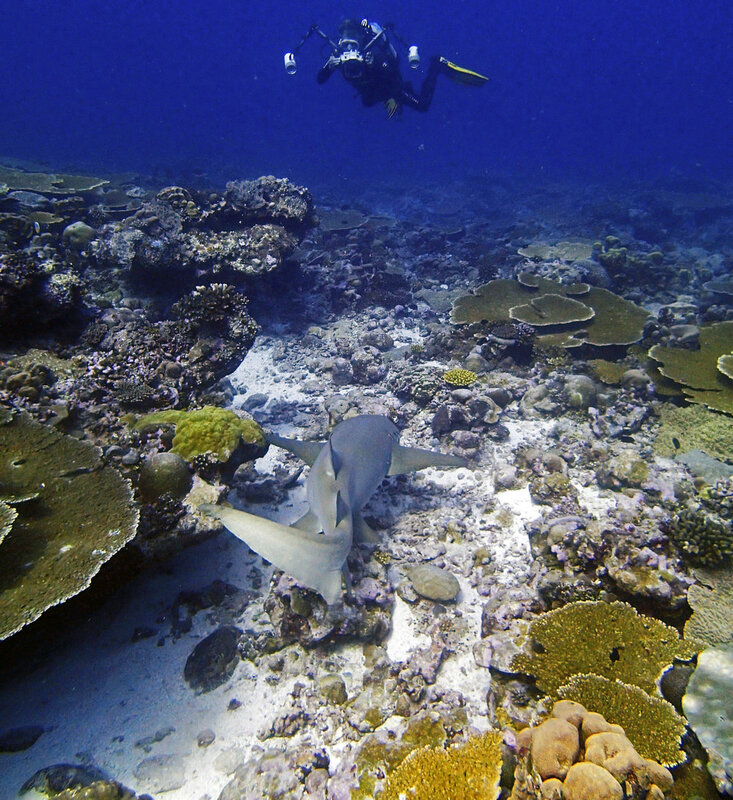 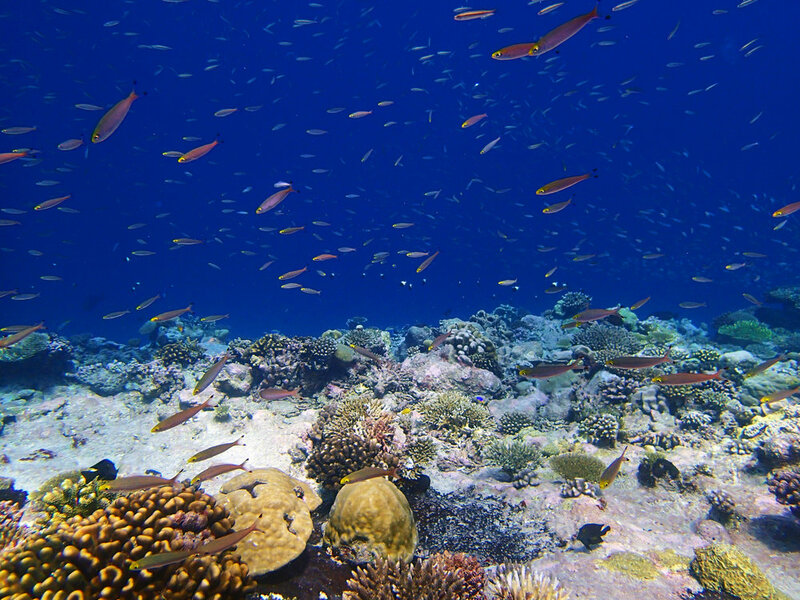 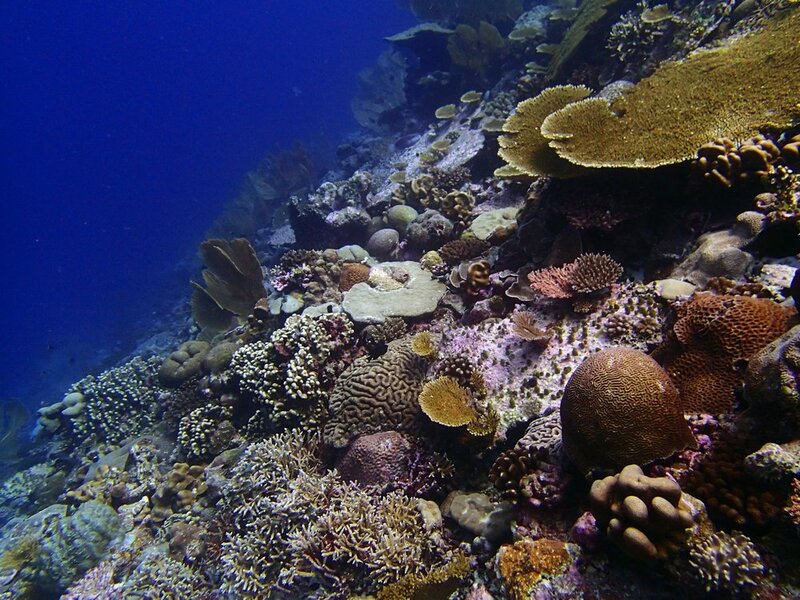 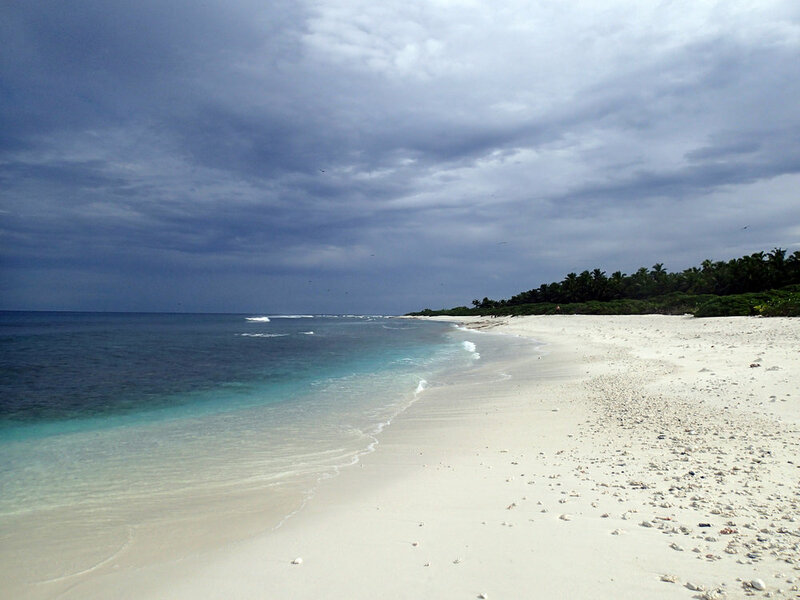 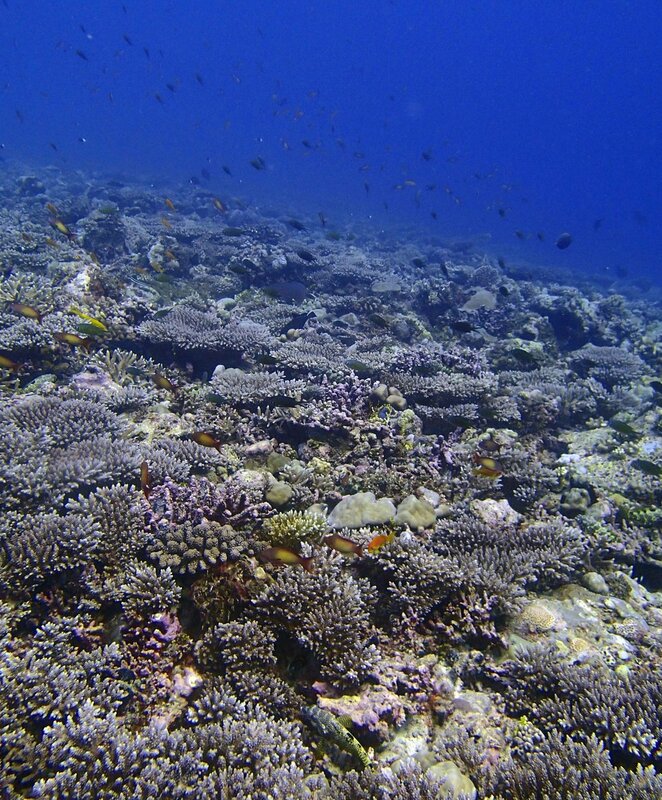 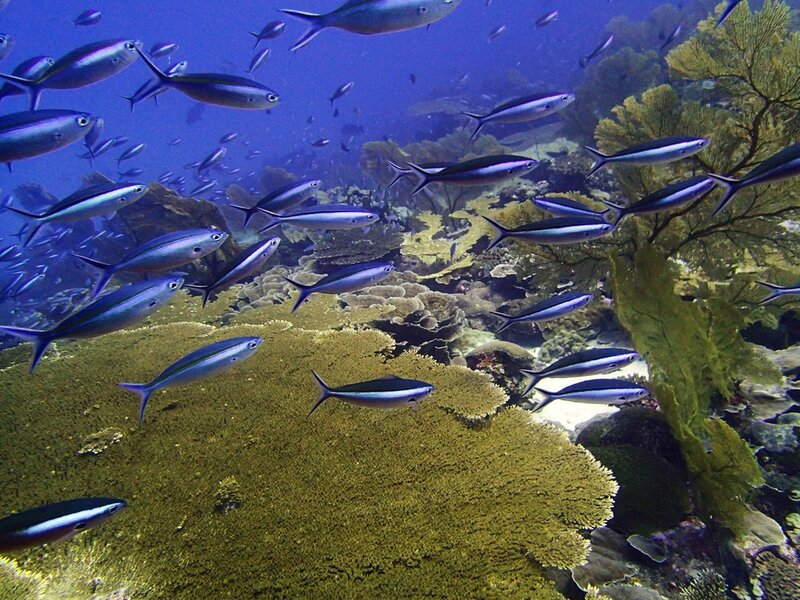 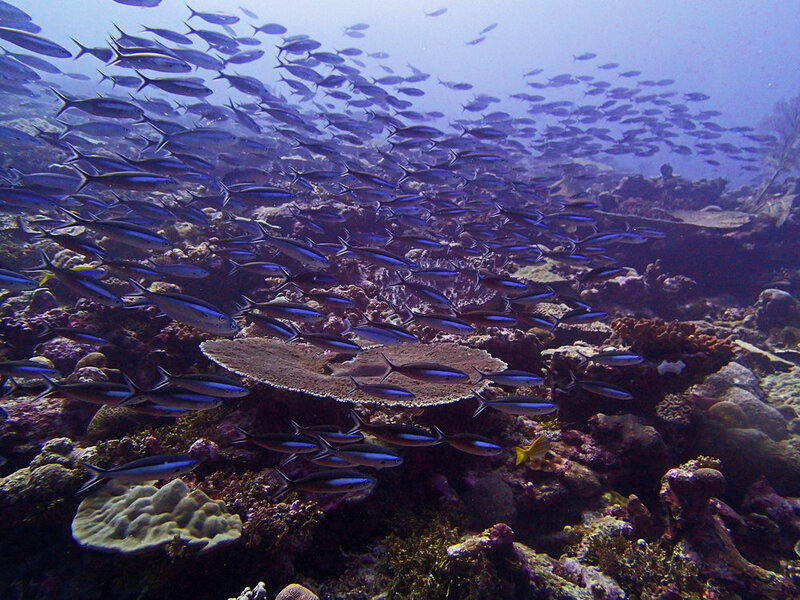 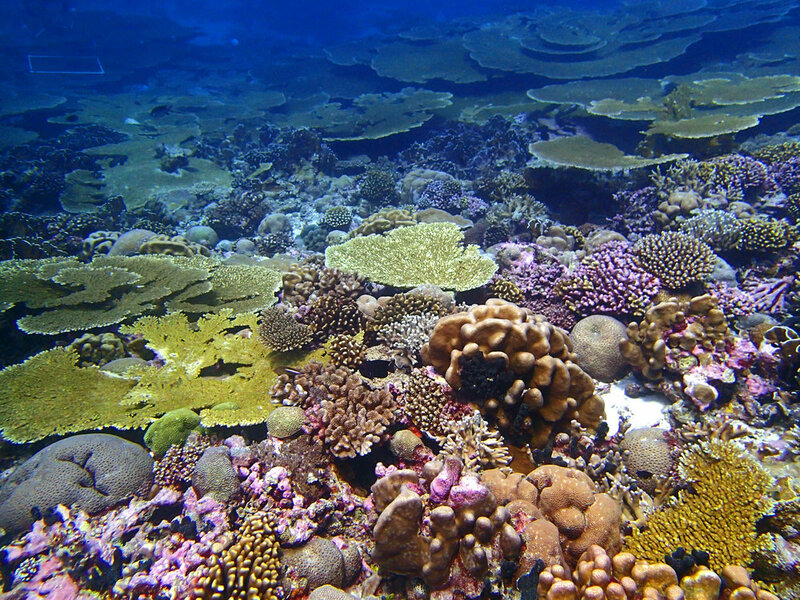 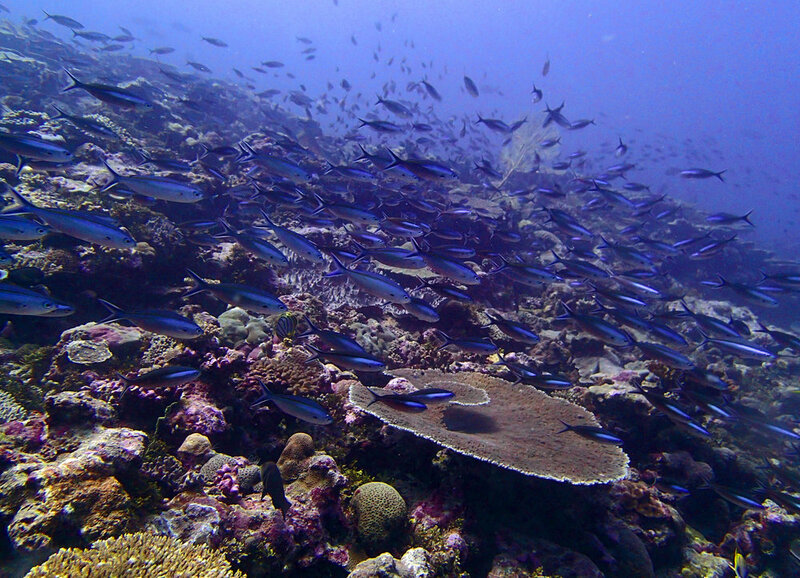 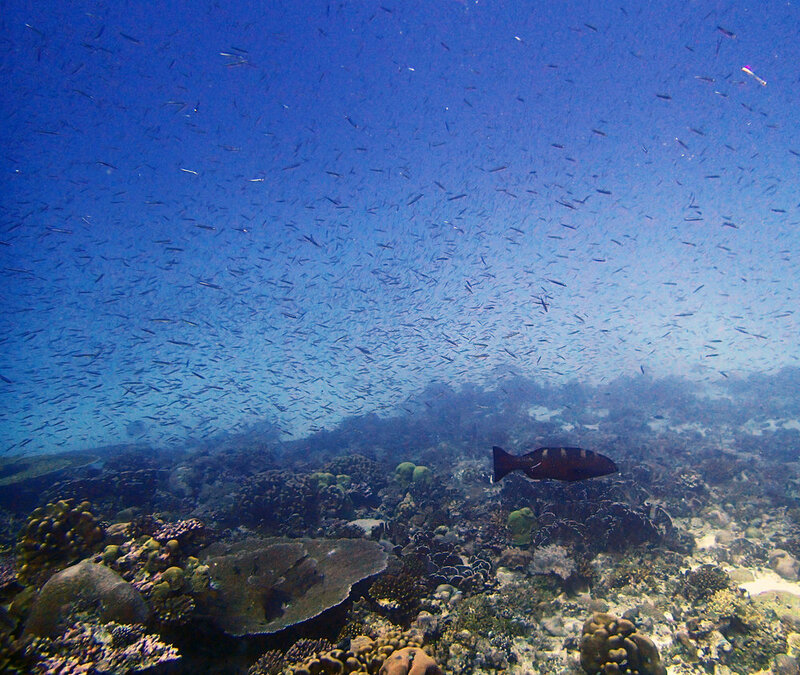 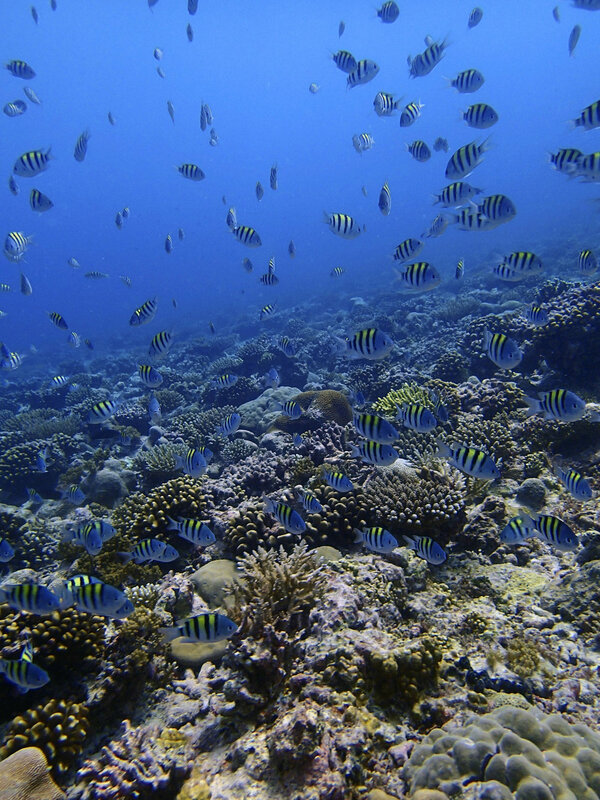 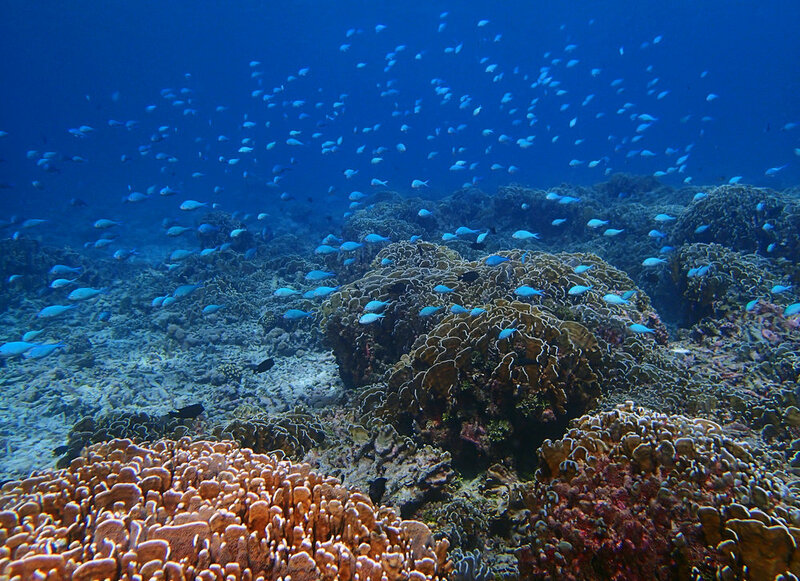 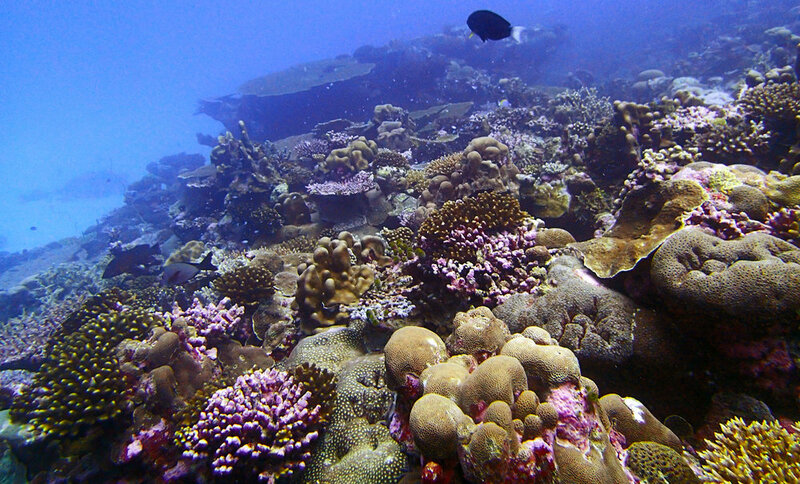 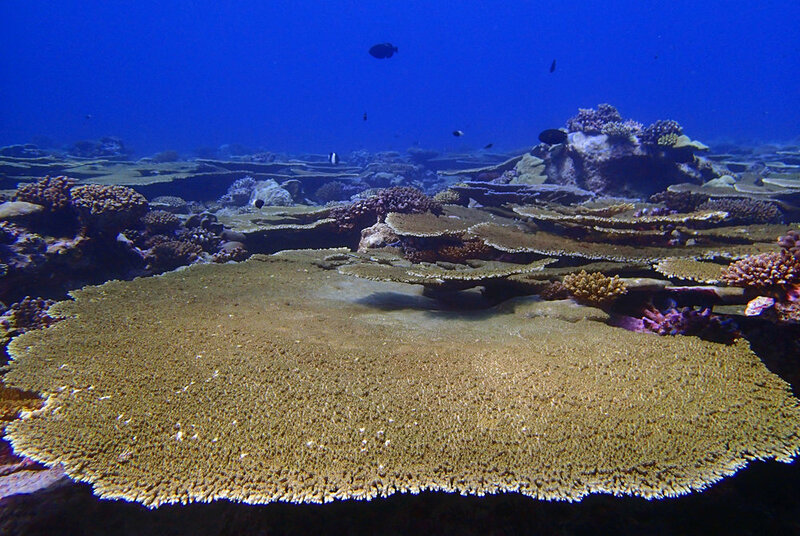 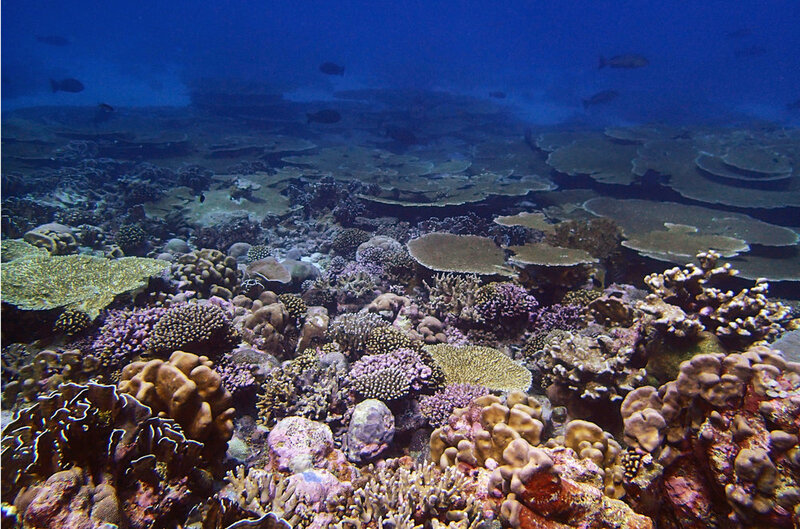 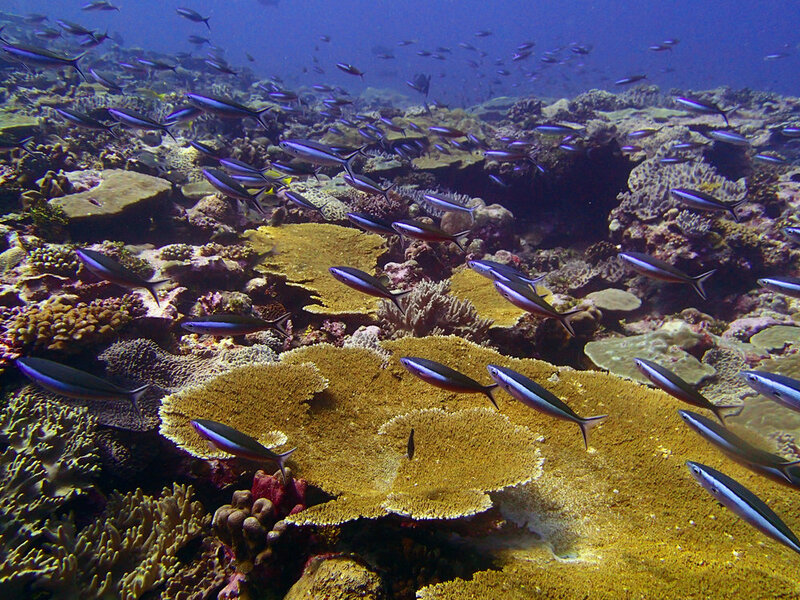 BIOT overview — Anderson B. Mayfield, Ph.D.
British Indian Ocean Territory: amongst the planet's most remote, "pristine" reefs, yet still regularly succumbing to coral bleaching. 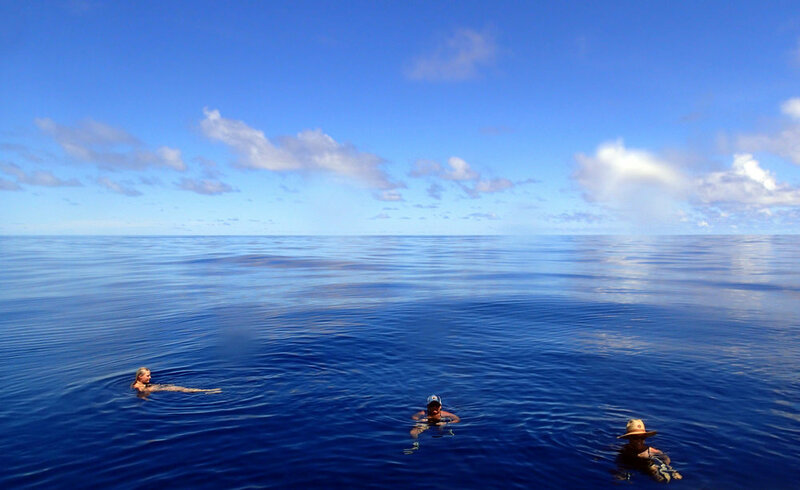 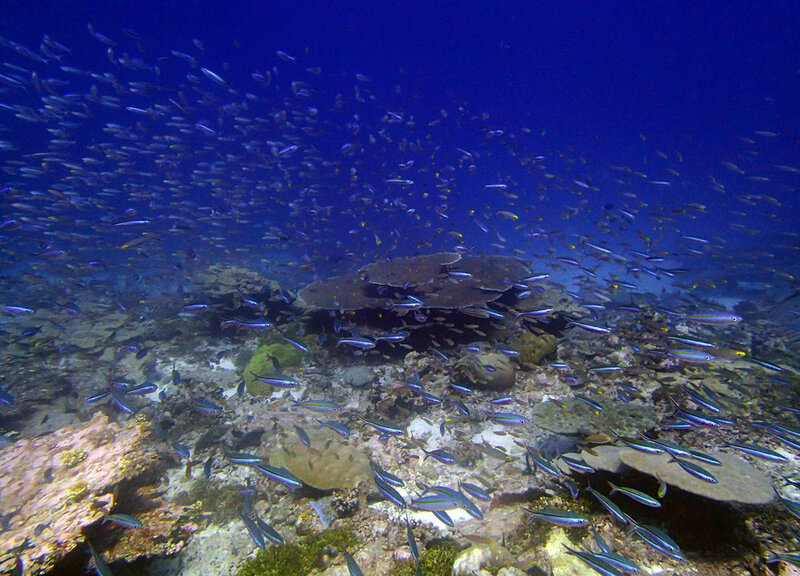 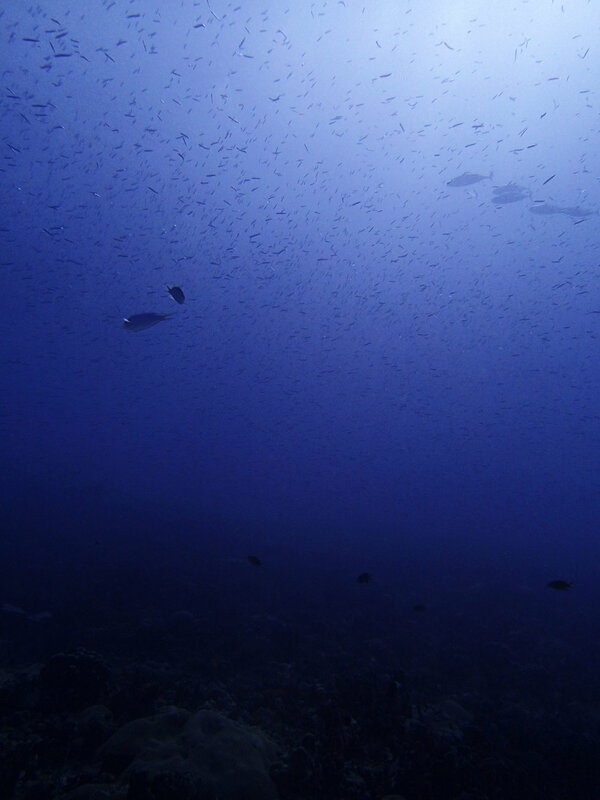 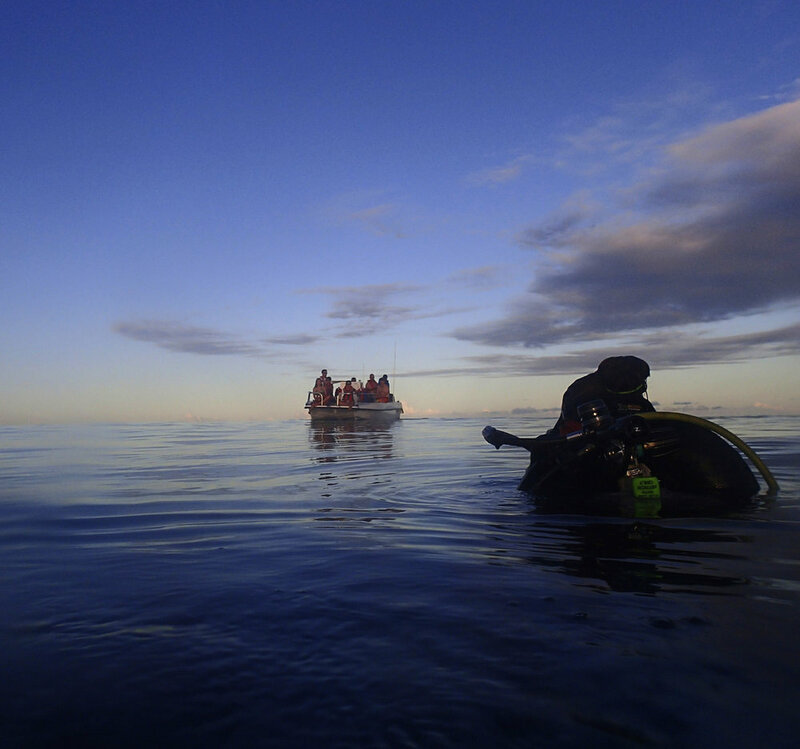 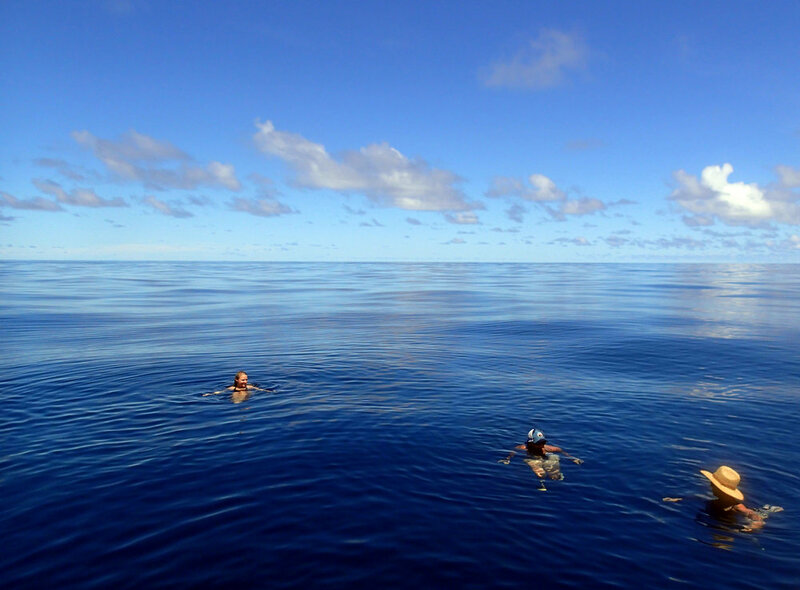 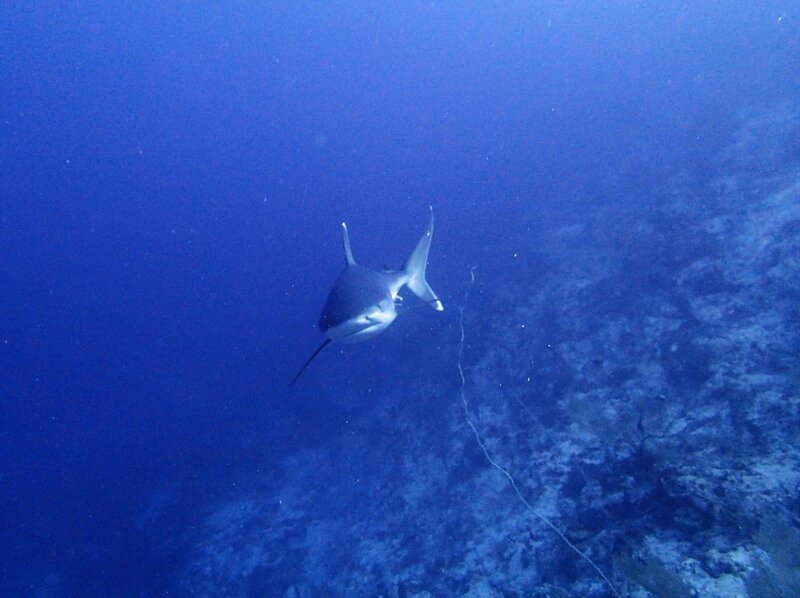 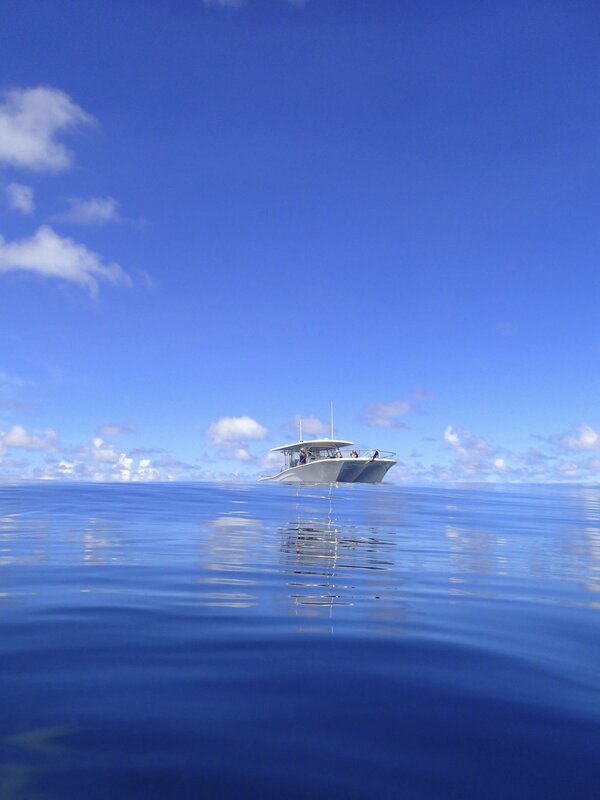 That being said, it's still one of the nicest places I've ever been diving, and I hope the photos below do it justice. 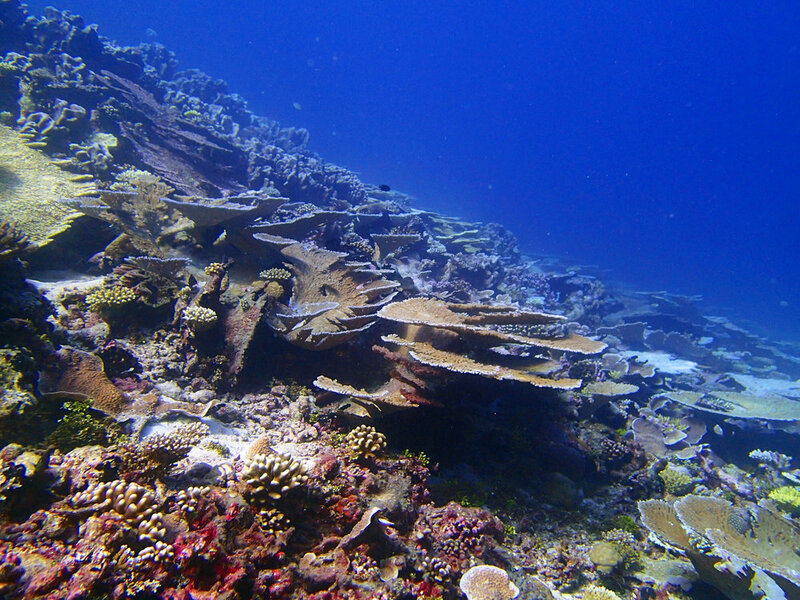 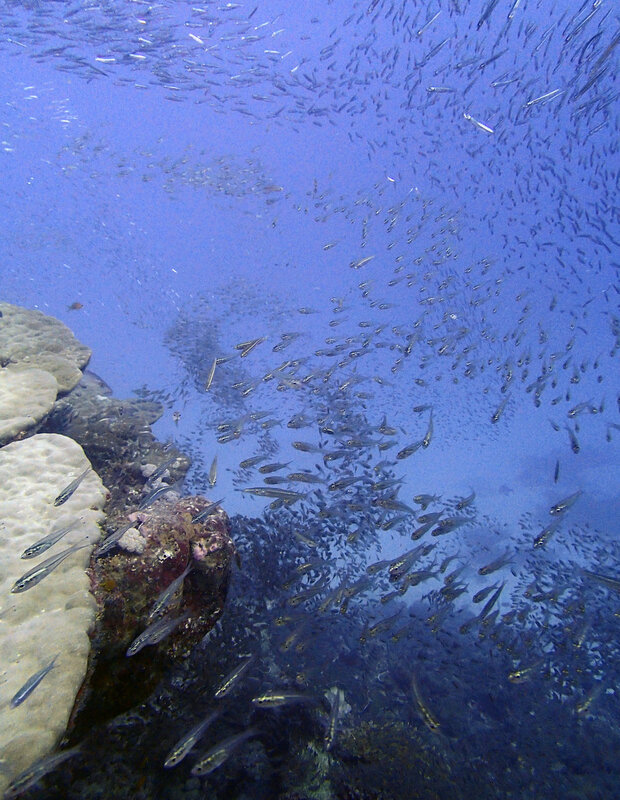 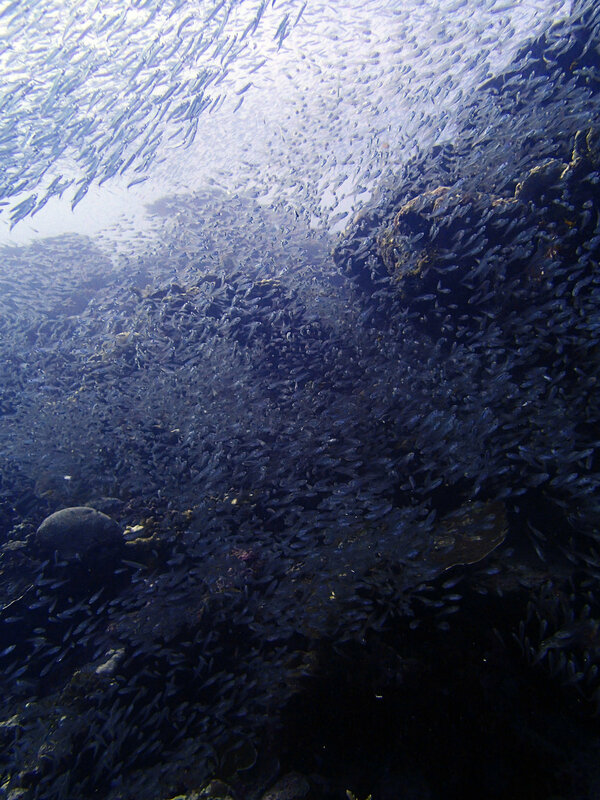 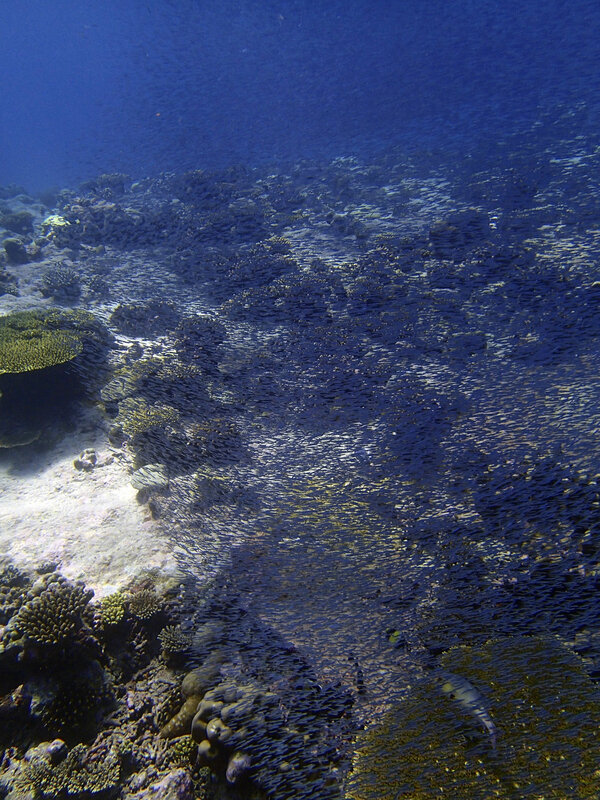 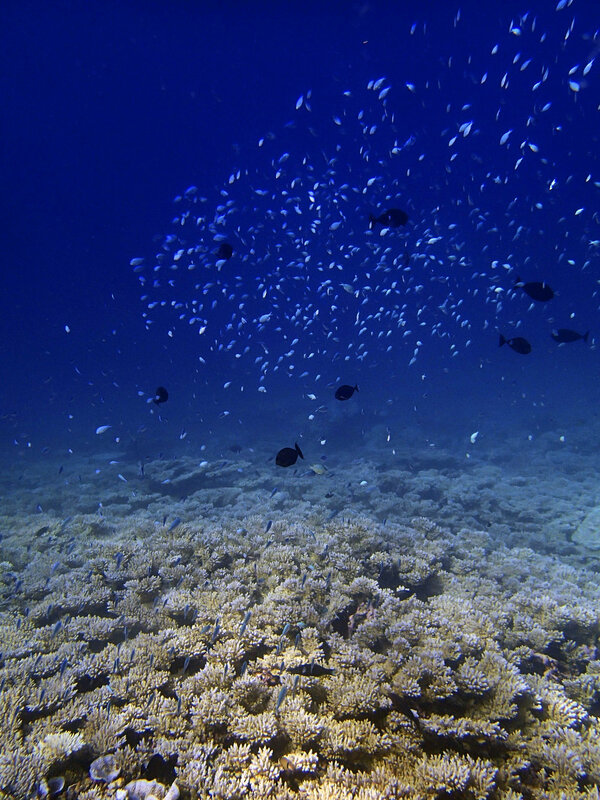 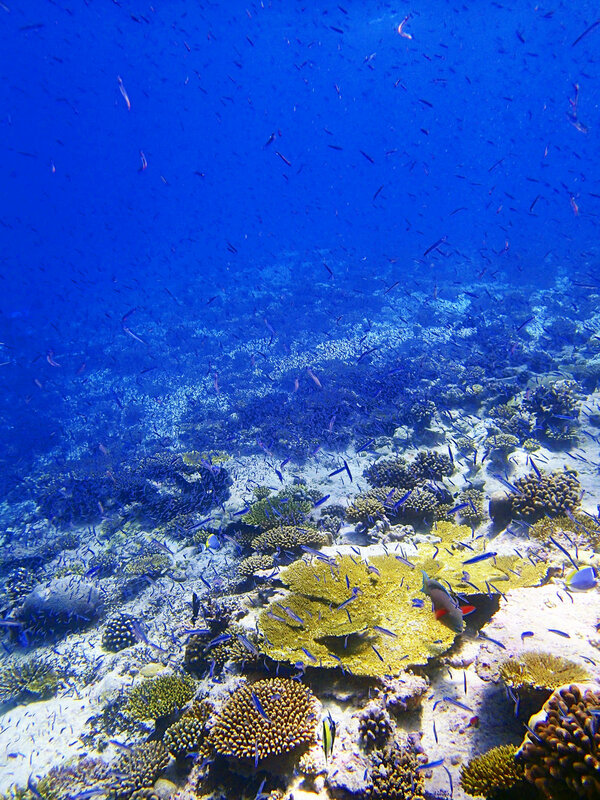 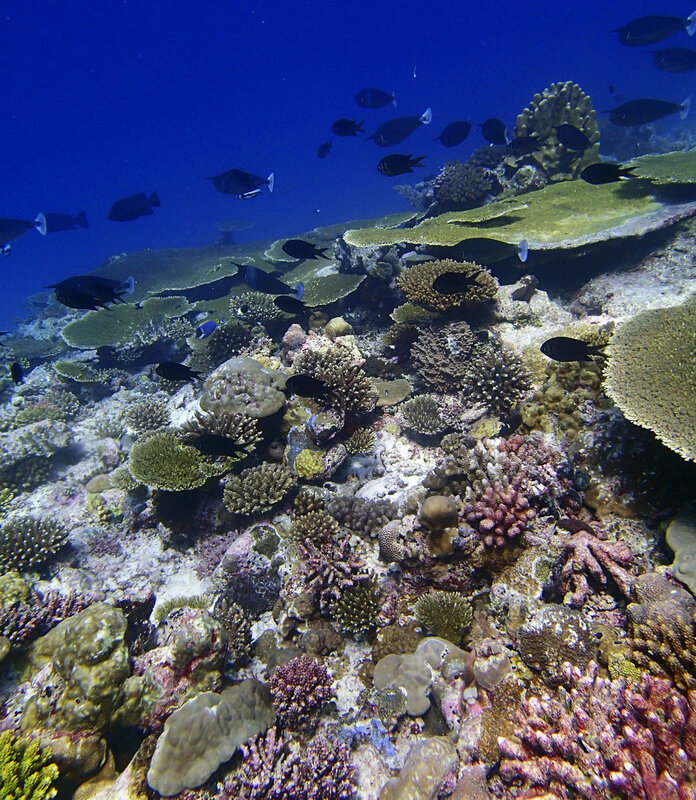 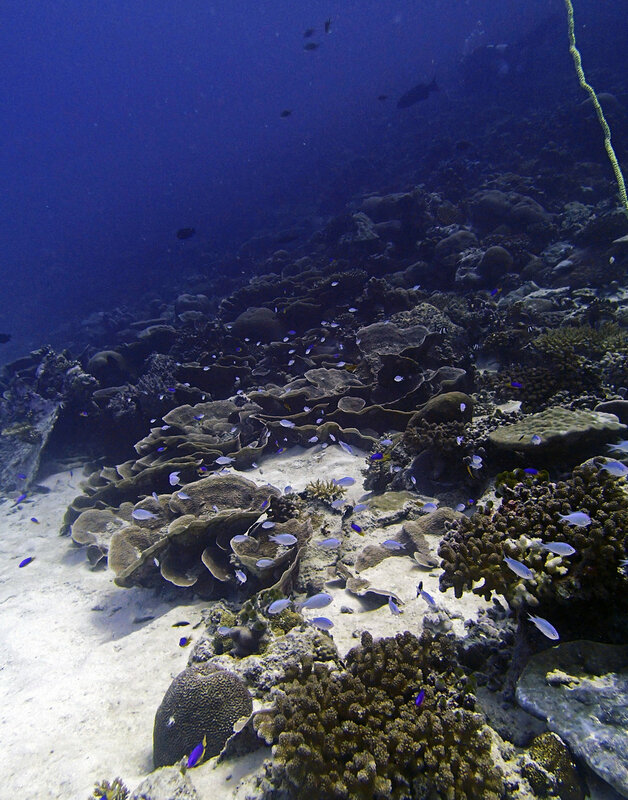 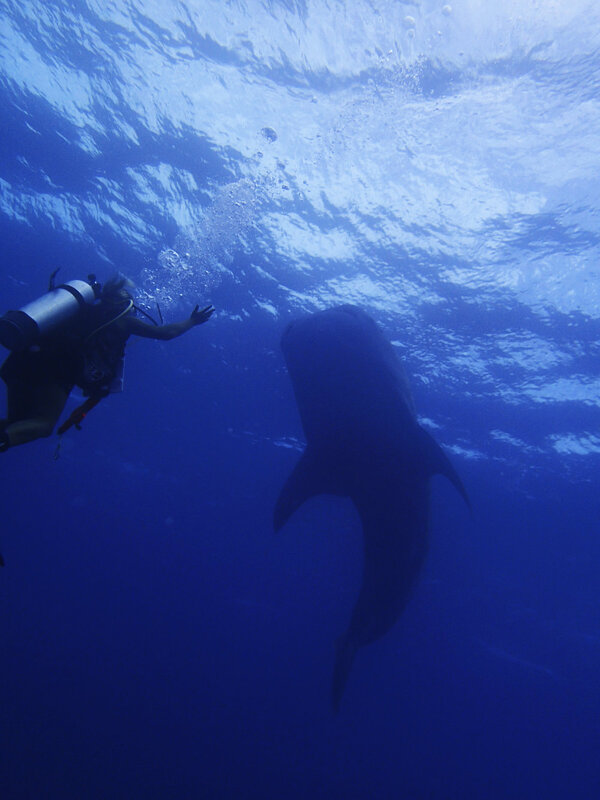 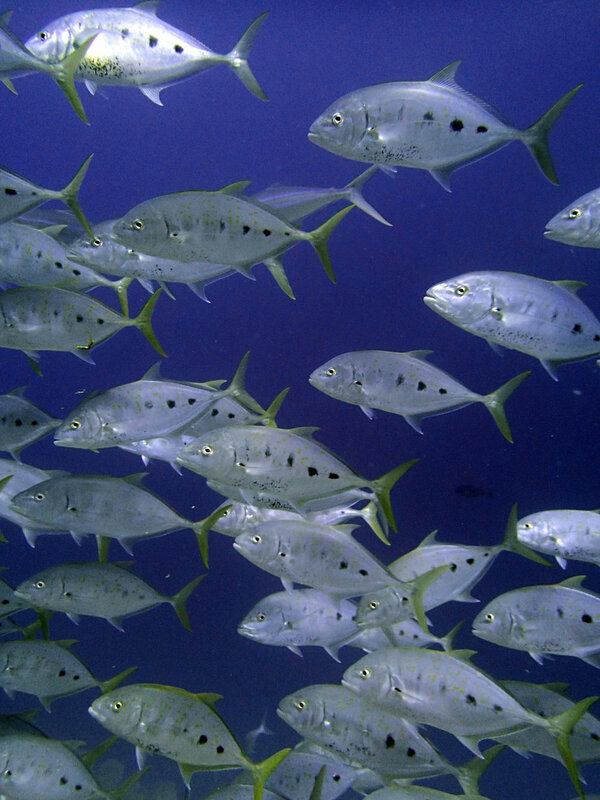 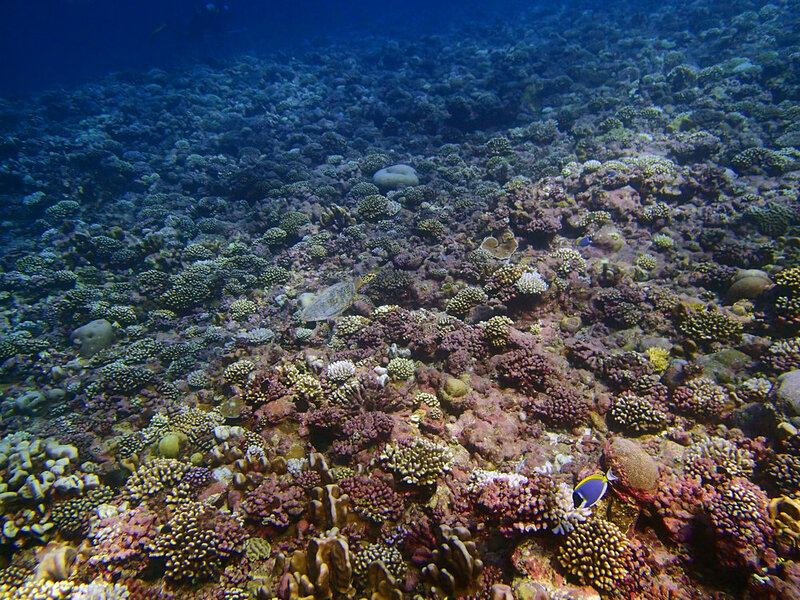 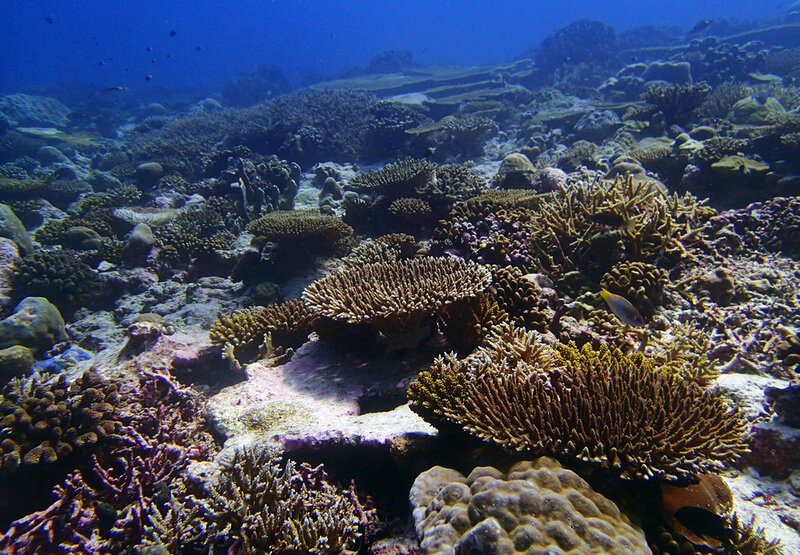 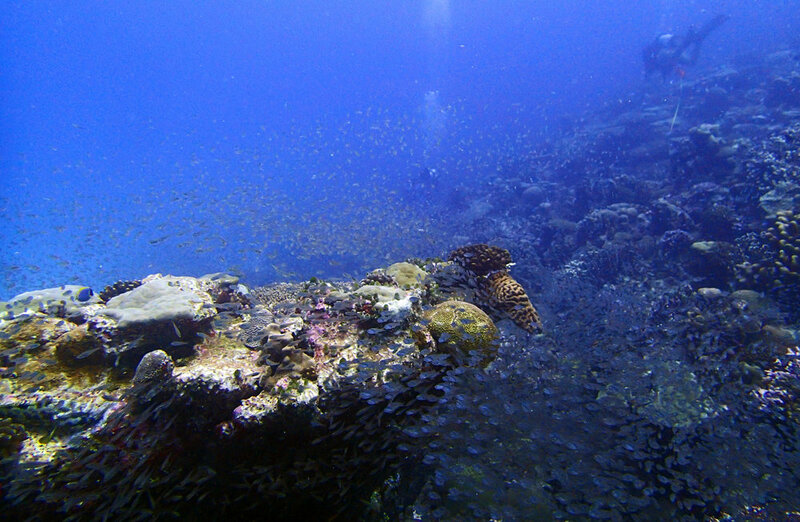 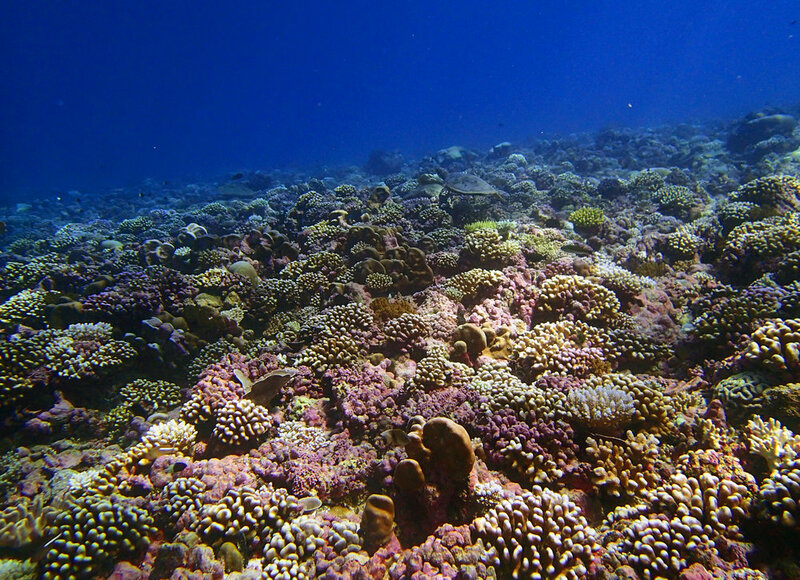 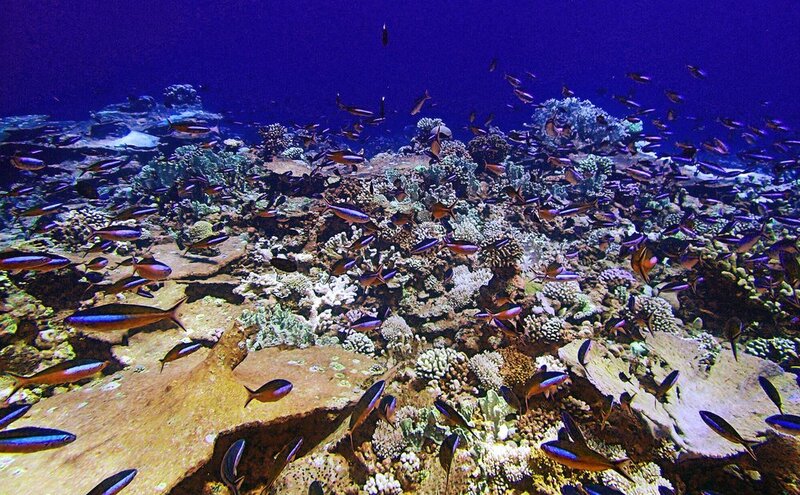 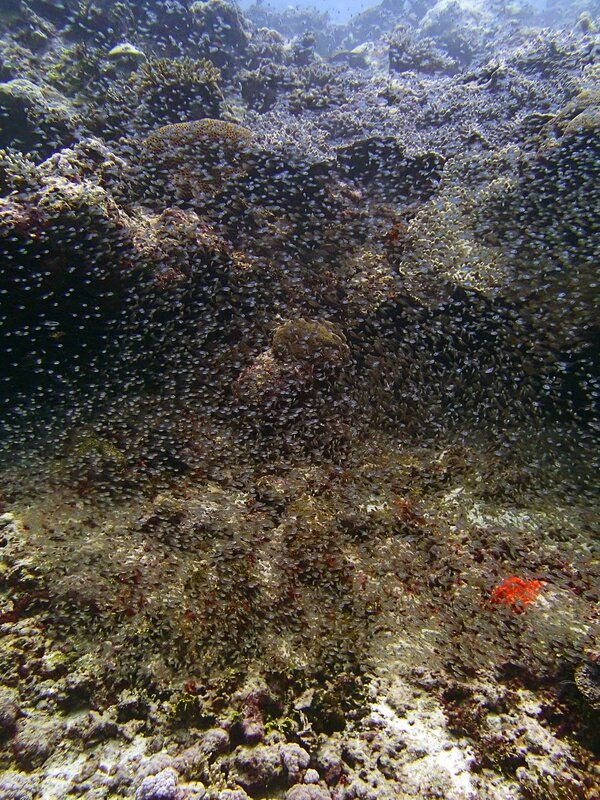 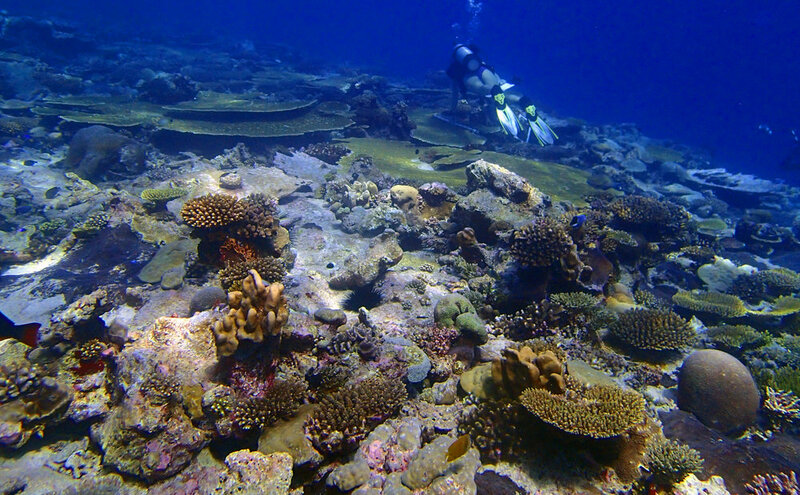 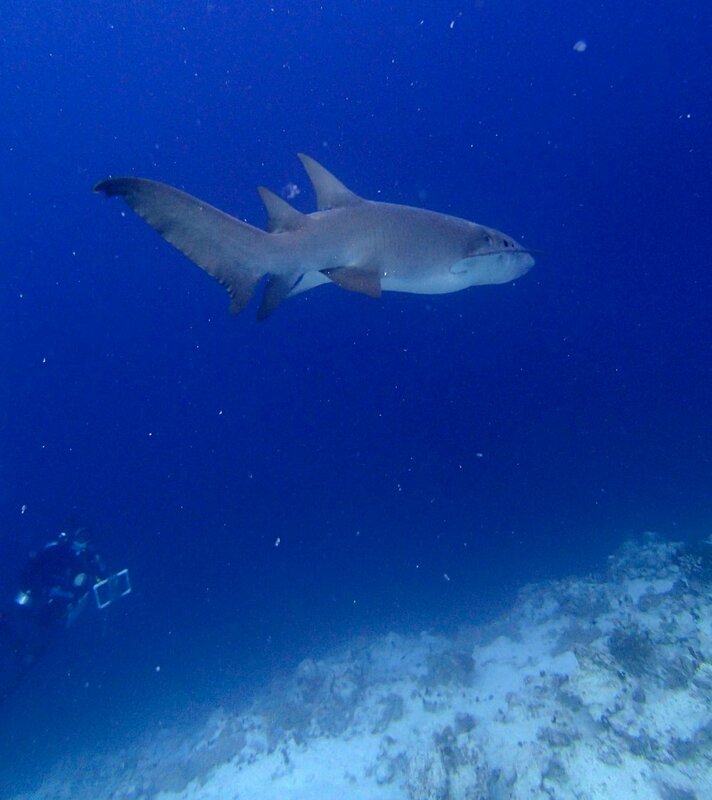 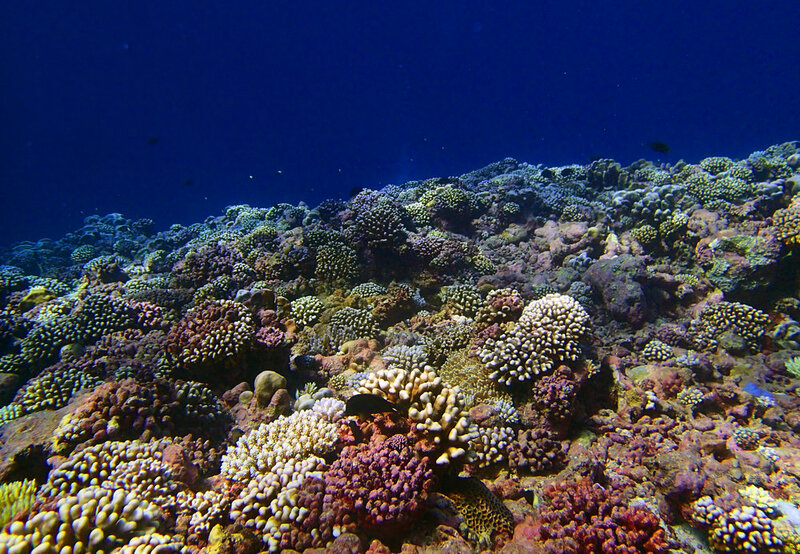 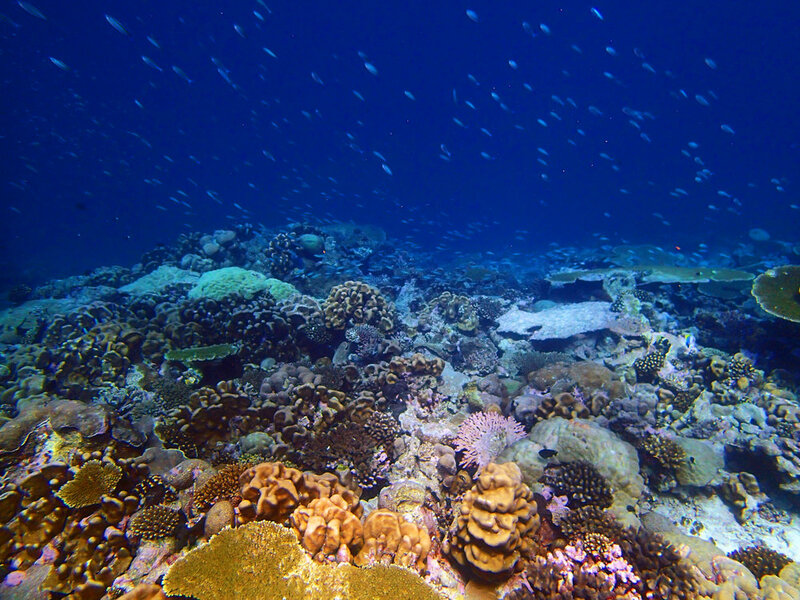 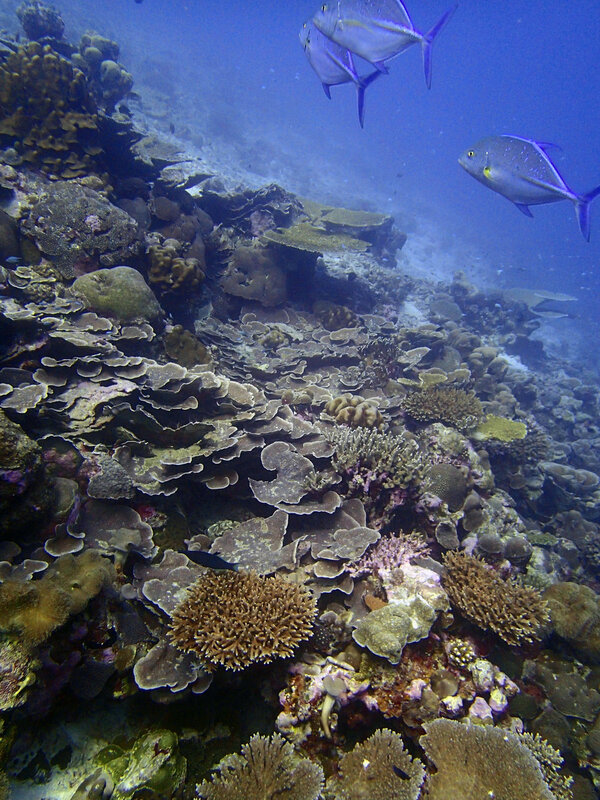 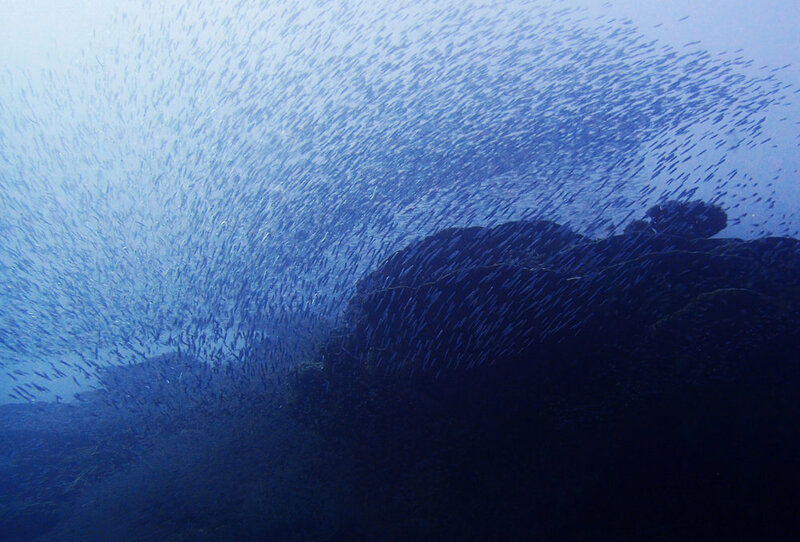 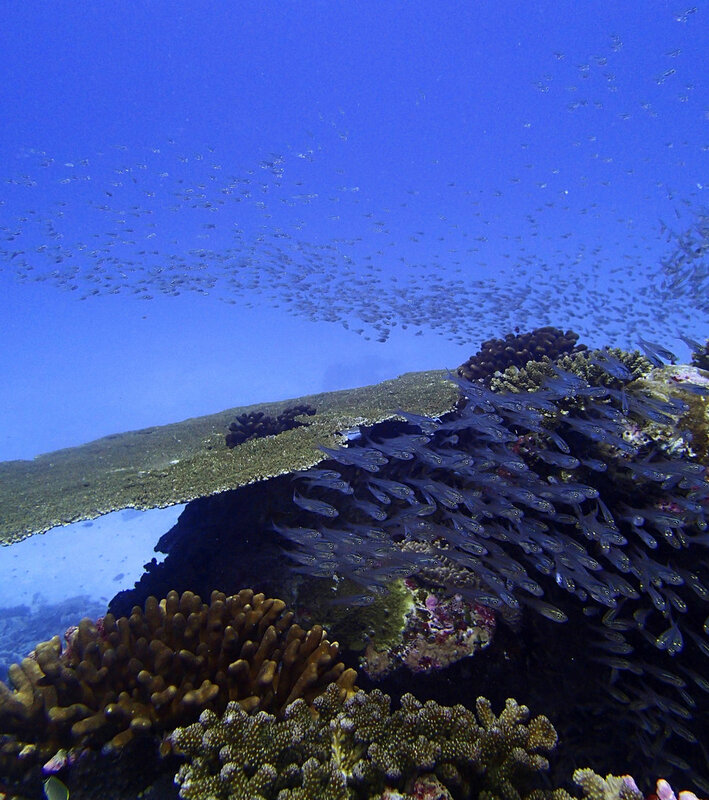 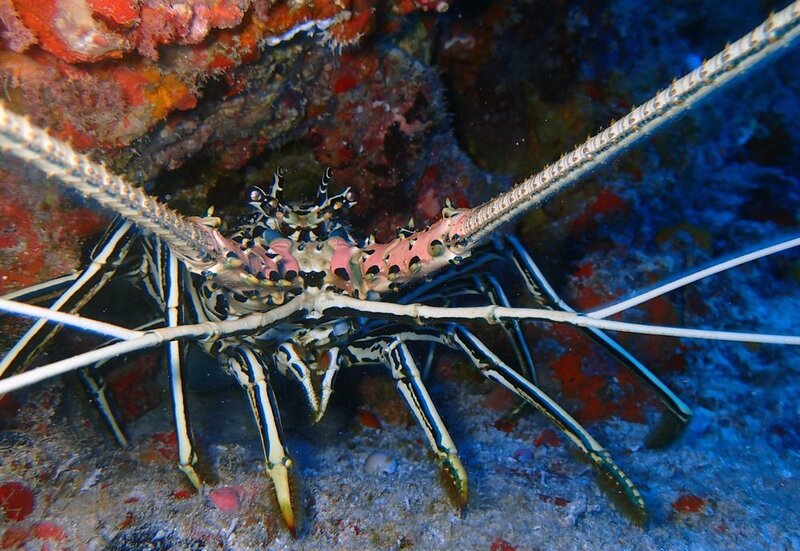 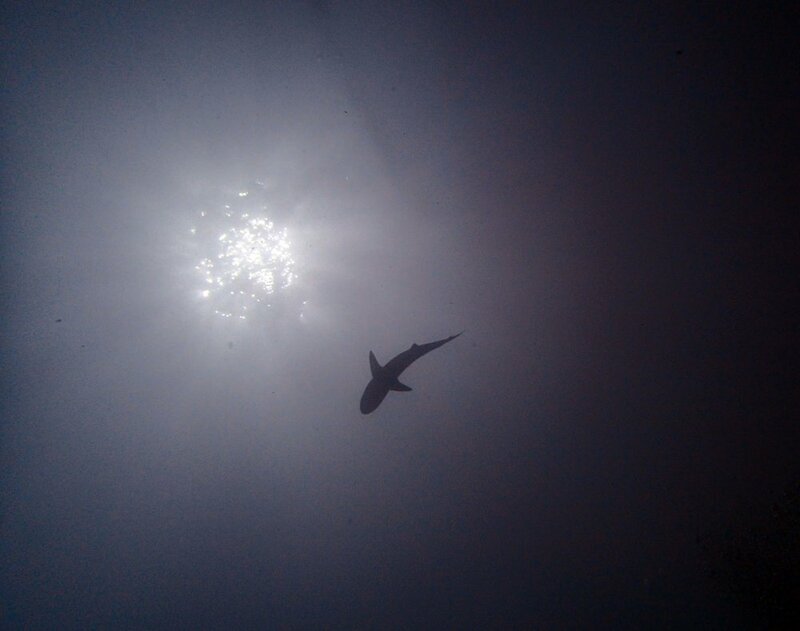 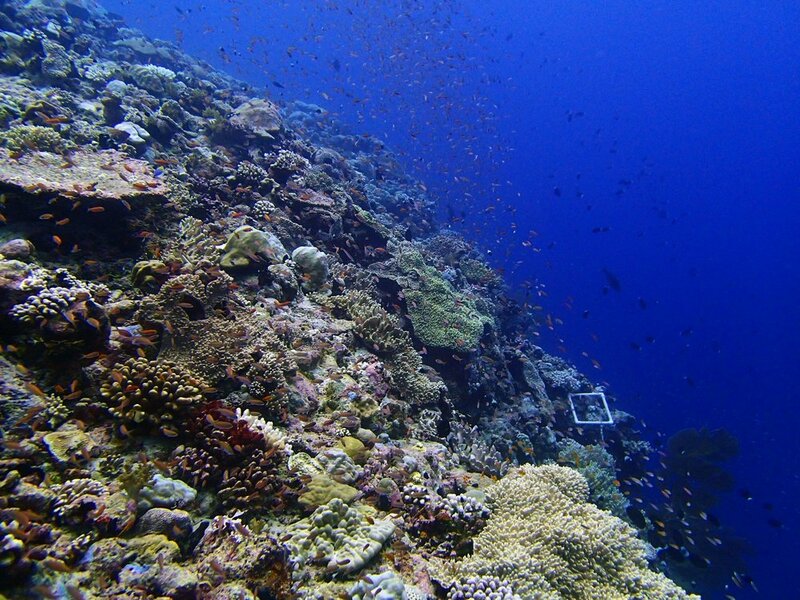 The Khaled bin Sultan Living Oceans Foundation surveyed ~60 reefs of BIOT between March and May of 2015; please click here for details of the mission, and the field report can be downloaded here. 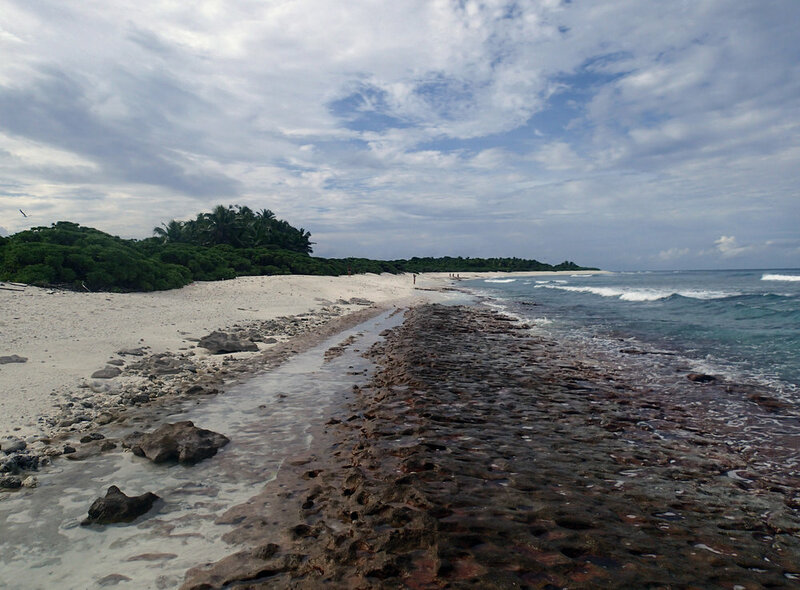 I am still extracting RNAs, DNA, and protein (click here for protocol) from my pocilloporid and seriatoporid coral samples, and I hope to begin analyzing the proteins in 2019. 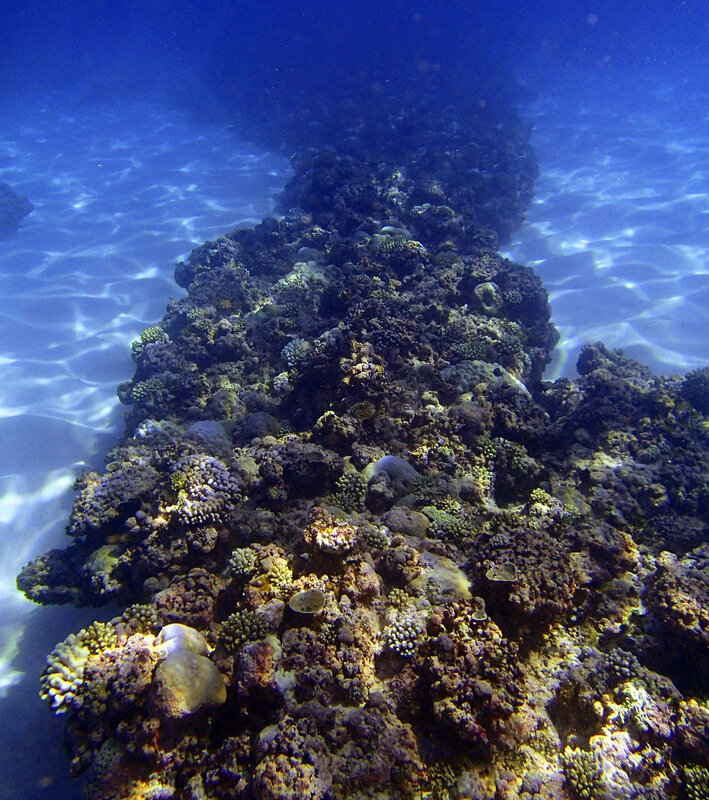 Unlike for samples of the prior LOF Global Reef Expedition cruises, I may not assess gene expression given my recent findings (Mayfield et al. 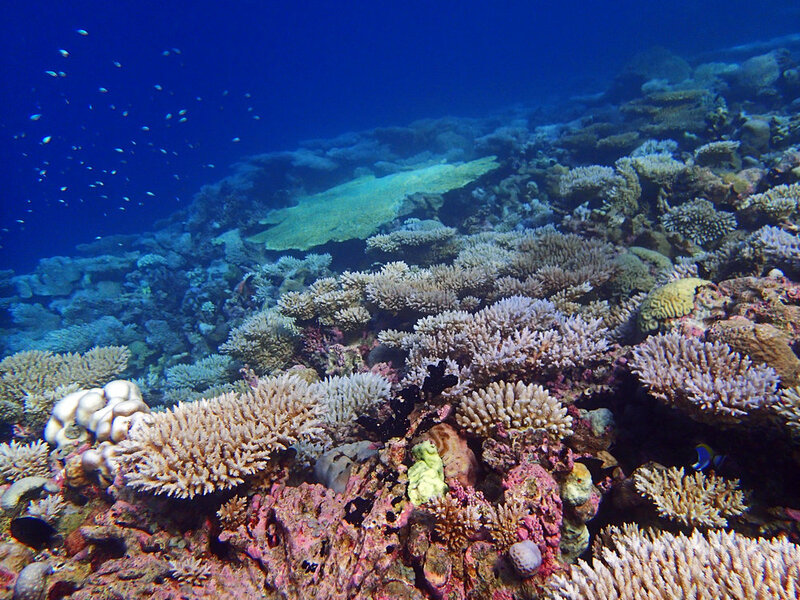 2016 and 2018) that there is no congruency between gene expression and protein expression in reef corals or their in hospite Symbiodinium populations. 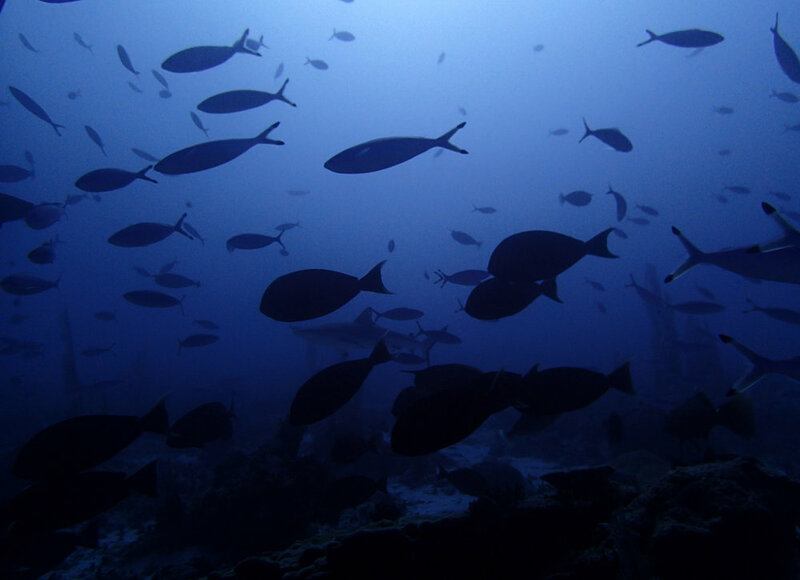 Instead, I may use label-based mass spectrometry approaches to profile the proteins synthesizes, as proteins, and not mRNAs, actually undertake cellular work and are therefore better predictors of cell biology and therefore animal physiology. 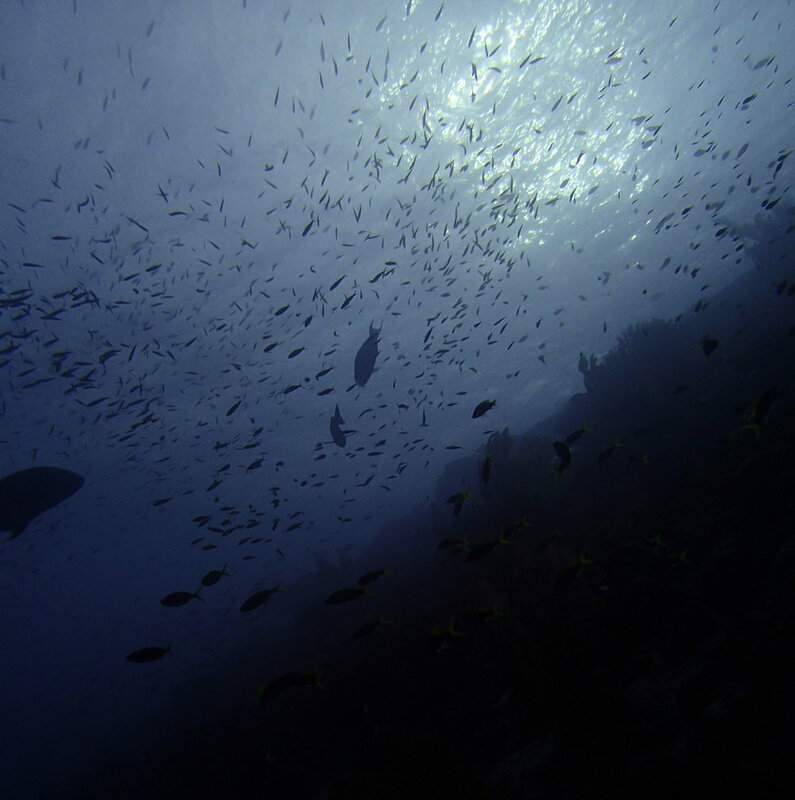 If anyone is interested in collaborating on this, I would be more than happy to share samples! 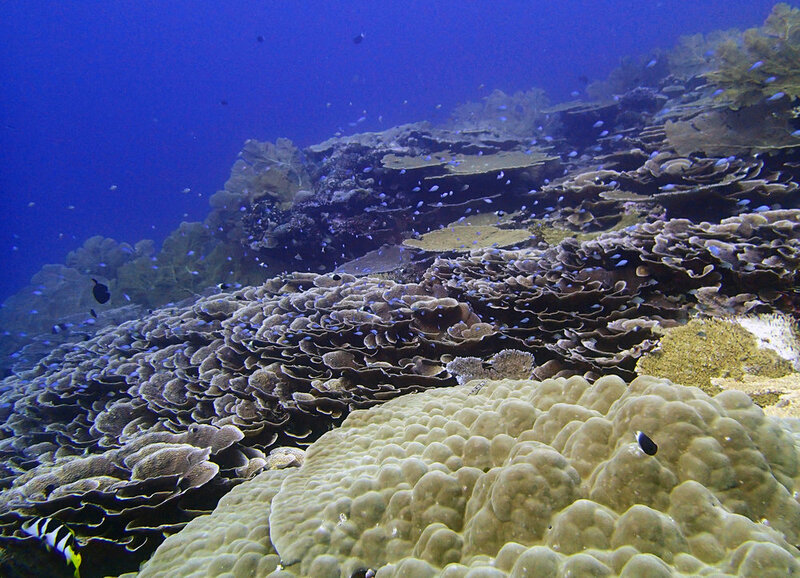 I have samples from the SAME REEF (Peros Banhos) both before and during bleaching. 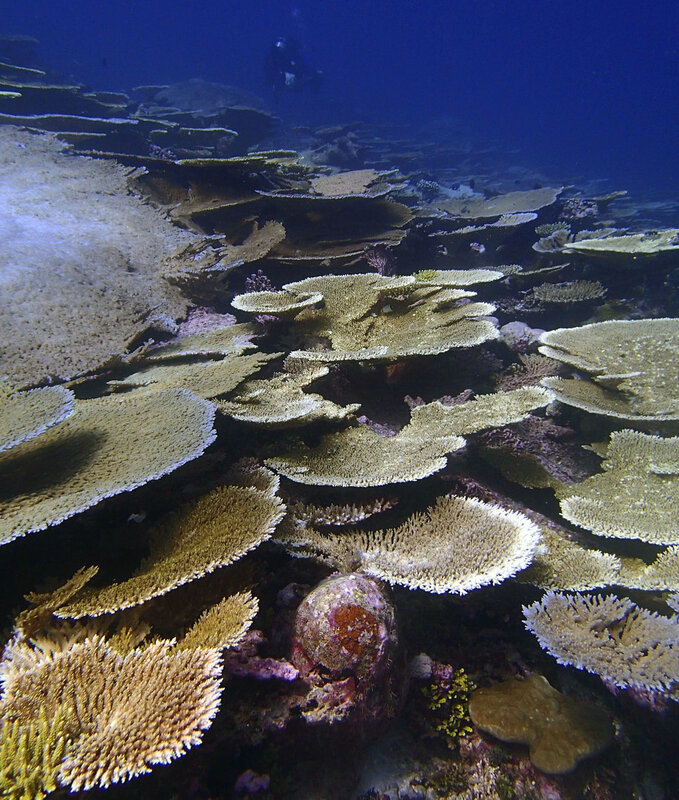 Unfortunately, I did not tag colonies so that I have before and during-bleaching from the same colony (we did not plan to return to any one site); the resulting sample set may nevertheless be telling, especially since some of the corals (Pocillopora acuta and Seriatopora hystrix) resisted bleaching, whereas those nearby (<5 m) did not. 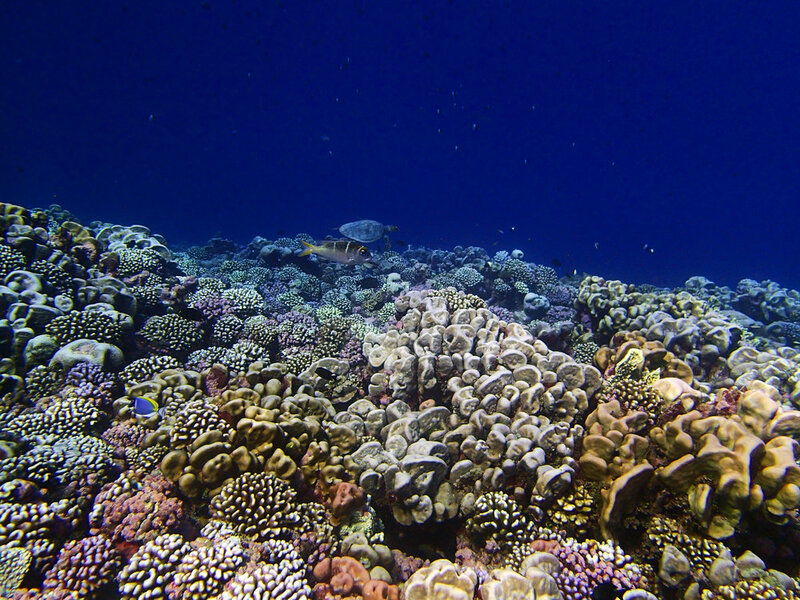 This may allow us to explore the molecular basis of thermotolerance (or lack thereof).